After winning their qualifying finals, Richmond and the West Coast Eagles can sit back, relax and watch on as they await their opponents in the penultimate weekend of the AFL season. Meanshile, Friday night will see Hawthorn and Melbourne duke it out in a final for the first time in 28 years for the right to face the Eagles in Perth, as Collingwood host Greater Western Sydney, with the winner of that tie to play Richmond. Here is your full guide to the two semi-finals. Last meeting in a final: Melbourne 10.13 (73) defeated Hawthorn 8.16 (64) at the MCG, elimination final, 1990. This season: Hawthorn 19.7 (115) defeated Melbourne 6.12 (48) at the MCG in Round 4. Having had to wait 12 years between drinks, Melbourne made the most of their return to the finals last Friday night, kicking five goals to nil in the opening quarter to send Geelong crashing out. 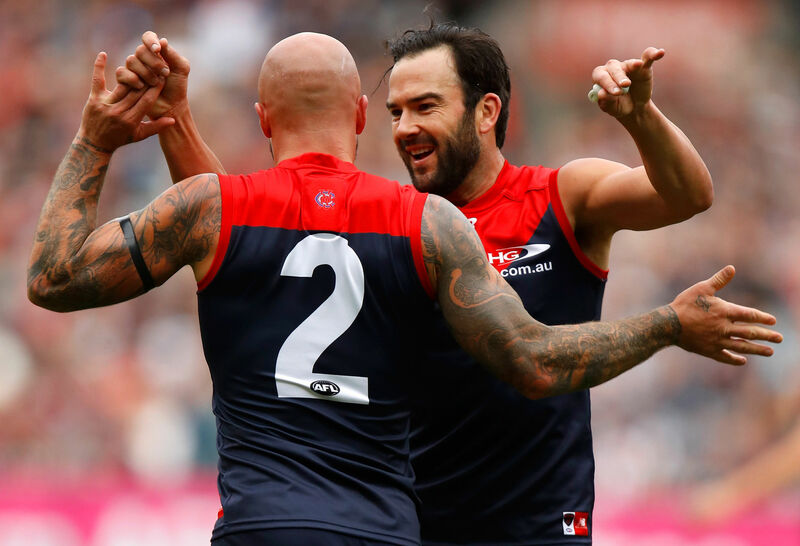 While they couldn’t kick a goal in the second quarter, their blistering start forced the Cats to play catch-up for the remainder of the match, as the likes of Max Gawn, Clayton Oliver and Nathan Jones ran amok. It was as dominant a performance as we have seen from the club for a very long time, let alone in a finals match, leading many to believe they can emulate the Western Bulldogs in 2016 and go all the way. Coincidentally, the Bulldogs ended a dismal record against the Hawks to send the then-triple-reigning premiers crashing out of the finals in straight sets. The Hawks, meantime, are coming off a 31-point loss to Richmond in its qualifying final, which has made their task of qualifying for their fifth grand final this decade all the more difficult. Alastair Clarkson’s men were competitive early on, but wilted under the heat of finals football as the Tigers romped to yet another win at the MCG, sending the Hawks to the Eagles’ side of the finals draw. However, they’ll be confident of their chances of bouncing back – the only time the Hawks and Dees met this season, the men from Waverley Oval came from 21 points down in the first quarter to win by 67 points. As much as the AFL world wants the Melbourne fairytale to continue, unfortunately I can’t see it happening. The Hawks will win their way through. Prediction: Hawthorn by 20 points. 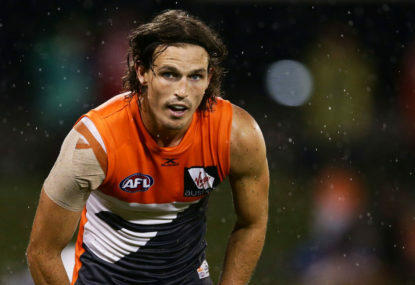 This season: GWS 15.5 (95) defeated Collingwood 12.7 (79) at the MCG in Round 2. Leon Cameron’s men couldn’t have been more impressive than last Saturday night, when they thrashed the Swans by 49 points at the SCG, restricting Sydney to just four goals in the process. Making their second finals win over their cross-town rivals in three years all the more impressive was that their star midfielder, Josh Kelly, failed to make it to quarter-time after suffering a knee injury, which is likely to rule him out against the Pies. Brett Deledio and Toby Greene impressed in their return from injuries, while Phil Davis played the match of his life to completely humiliate All Australian captain Lance Franklin, restricting him to a solitary behind from eight disposals. And they’ll have every reason to be confident that they can continue their impressive run – not only did they beat the Pies at the MCG in Round 2, they were also the last team to beat Richmond this season, when they won by two points at Spotless Stadium in Round 17. This will be the Giants’ second finals match at the MCG, having experienced what it was like to play in front of such a massive crowd when they lost to the Tigers by six goals in the preliminary final last year. 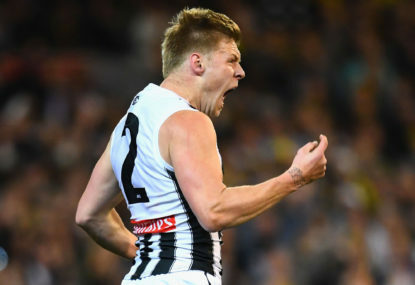 Nathan Buckley’s men are coming off a gut-wrenching loss to the Eagles in Perth last Saturday night, in their fifth defeat in their past six finals matches, dating back to the 2011 grand final. This has sent them to the Tigers’ half of the finals draw, thus robbing us of what could have been a grand final for the ages. It was also their loss to the Giants in Round 2 which raised questions about whether the decision to reappoint Buckley last year was the right one – in what was just the Giants’ second ever win at the MCG. However, since then, the Pies have gone from strength to strength, and they should end GWS’s season in front of their home fans. Prediction: Collingwood by 12 points. 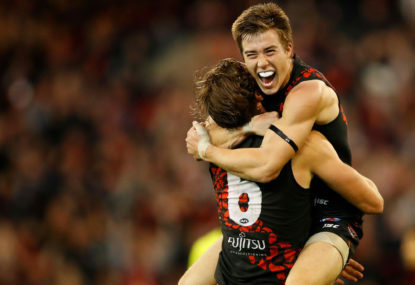 Anzac Day 2019 promises to be one of the most intriguing yet as both Collingwood and Essendon see themselves as premiership contenders and know defeating the other would be a big scalp. 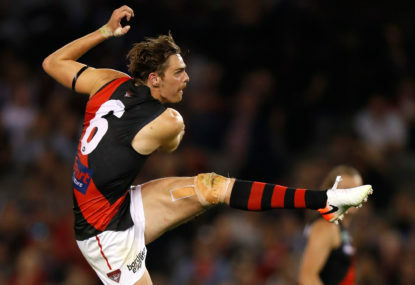 The Essendon Bombers go up against the Collingwood Magpies at 3:20pm (AEDT) this Thursday, April 25 in their traditional Anzac Day clash. This is The Roar’s guide to streaming the action online, or watching it on TV. 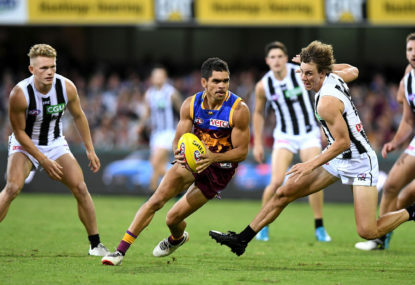 Thursday night football makes its way to The Gabba for a highly anticipated clash between the Lions and Magpies. 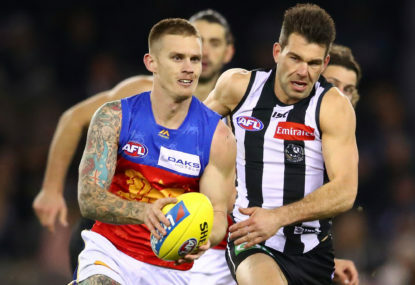 For the first time in a very long time, the Brisbane Lions will be the centre of attention when they welcome Collingwood to the Gabba on Easter Thursday. Three games into the season and the big picture isn’t a whole lot clearer that it was a month ago.